Dublin-based Bookassist is big in Central Europe, and the annual Bookassist Christmas party in Prague continues to be a major event in local hoteliers’ calendars. 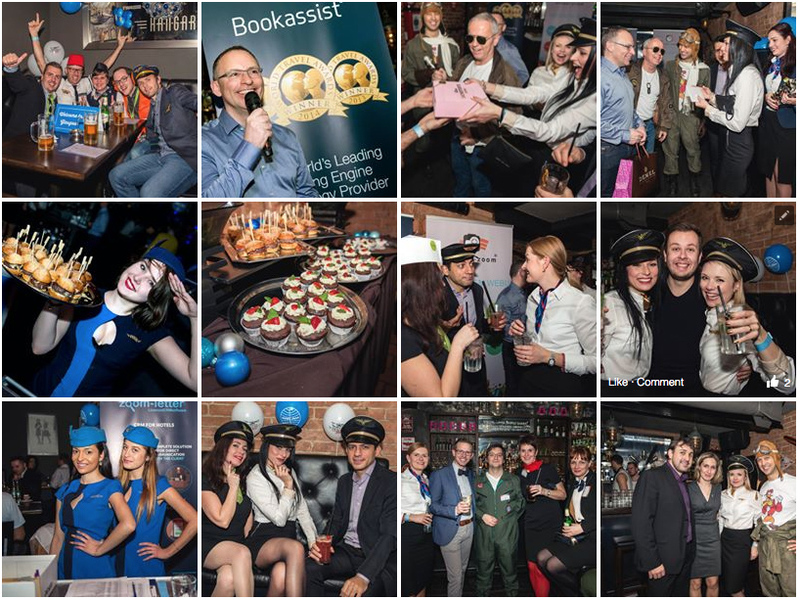 Bookassist has held themed Christmas parties in Prague for a number of years, and this years’ party celebrating the company’s tenth anniversary in the city was no exception, with an aviation-themed party held at the Hangar Bar and Nightclub in central Prague on December 16th. The Christmas party was the company’s largest yet, attracting almost 200 hoteliers, staff and partners for a night of festivities, food and fun until the early hours. Apart from local hotel clients from Prague, where Bookassist works with 150 hotels, the party attracted revelers from Karlovy Vary and elsewhere in the Czech Republic, as well as from neighbouring Slovakia and Austria. As part of the festivities, Hotel Meran in Prague was honoured as Bookassist’s first ever client in the city, and has been a continuous client for 10 years. The hotel will receive a free website from Bookassist based on the company’s leading edge Smart CMS technology. Pictured are Bookassist team members from the Czech and Austrian offices, including regional managers Jaromir Pazout (Prague) and Mario Clemente (Vienna), together with Dublin-based CEO Des O’Mahony. For more photographs, see Facebook. 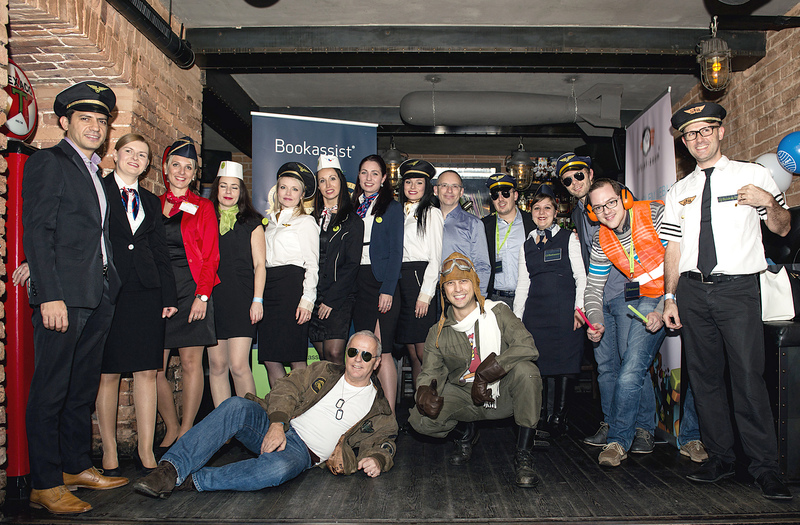 The Prague and Vienna Bookassist teams, taking the aviation theme of the party very seriously.